Birmingham Hippodrome and Dance Consortium are delighted to announce that Dada Masilo’s forthcoming UK tour of Giselle will play a very limited season on our main stage,15 & 16 October 2019. Tickets will go on sale this April, with a priority booking period for Friends – click here for more information on becoming a Friend. Following the international success of her acclaimed reinterpretations of Carmen, Romeo and Juliet and Swan Lake, Soweto-born dancer and award-winning, internationally-renowned choreographer, Dada Masilo will bring her latest production Giselle to the UK this autumn. The tour is an exciting addition to Dance Consortium’s 2019 performance schedule and continues the organisation’s unparalleled commitment to bringing the best international contemporary dance to audiences across the UK. Dada Masilo’s Giselle is a Sadler’s Wells’ co-production and marks Dance Consortium’s 45th tour since 2000. 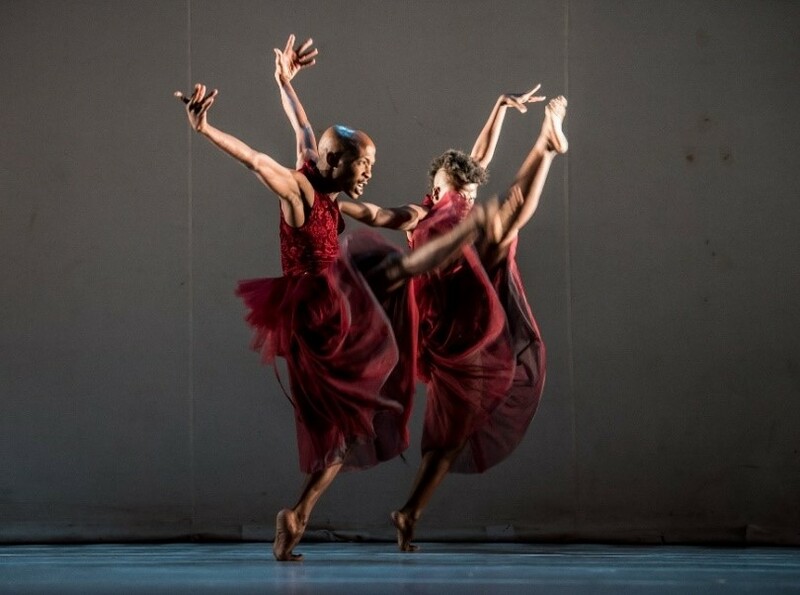 Dancing in the title role, Masilo leads her company of twelve exceptional dancers with theatrical mastery, accompanied by a hauntingly beautiful score from South African composer, Philip Miller, which fuses electronic sampling from the orchestrations by Adolf Adams, layered with African voice and percussion. Masilo was born and raised in the Johannesburg township of Soweto. Trained in classical ballet and contemporary dance she fuses these techniques with African dance steps to create her high-speed style. Giselle marks the fourth classic Masilo has reinterpreted in a decade and cements her growing reputation as a powerful and dynamic choreographic voice on the international stage. This is Giselle but not as you know it. Opening in a lively South African village, Masilo’s Giselle tells the story of a trusting peasant girl who is thrust into a world of betrayal and shame when her lover rejects her. Spurned by her family and killed by heartbreak, Giselle returns from the grave as a supernatural being bent on revenge. Mixing contemporary dance, traditional Tswana movement and the vocabulary of classical ballet, Masilo recontextualises the themes of grief and revenge inherent in the original and asserts a timely #metoo twist to the traditional Giselle narrative. Barefoot and grounded in her body, Masilo’s protagonist is the antithesis of the weak, frail and vulnerable Giselle with whom we are familiar. Myrtha is recast as a male Sangoma, or traditional South African healer, and the Willis – both male and female – are a vicious mob ready to exact their revenge. As a dancer, Masilo has impressed with her signature speed of movement and the precocious theatricality with which she embodies her roles. As a choreographer, her fine instinct for staging and her deep love for the classics sees her tackle the established ballet canon with remarkable boldness and daring artistry. Tickets for Dada Masilo’s Giselle will go on sale this April, with a priority booking period for Friends – click here for more information on becoming a Friend.